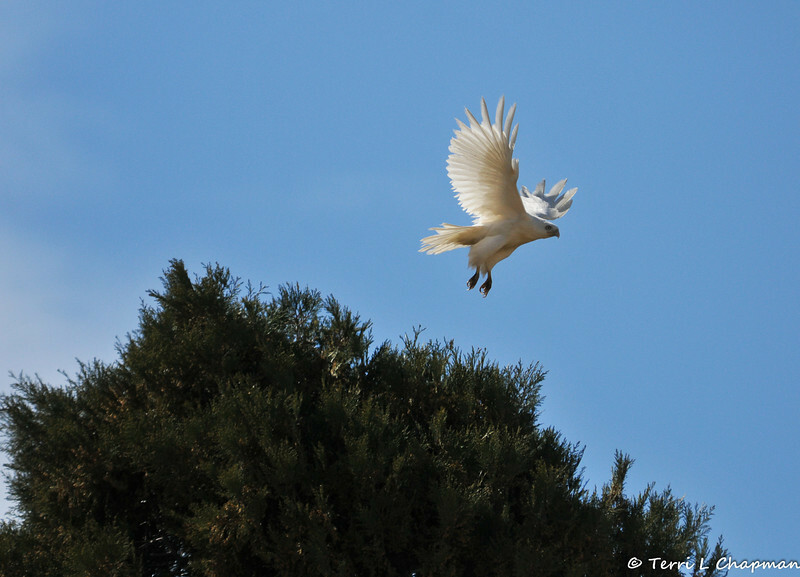 A Partial Albino Red-tailed Hawk in flight. This beautiful and unique bird was photographed in Valyermo, CA in February 2013. Although this hawk has all white feathers, a true albino bird would have a pink iris and this particular bird has a light yellow iris.